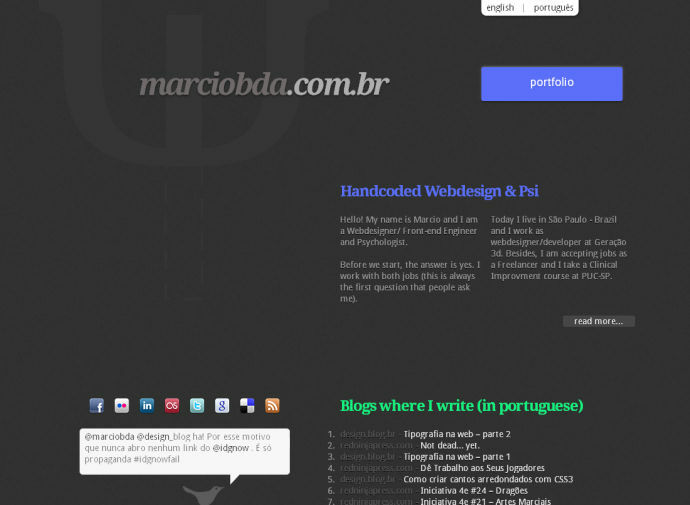 Personal portfolio site of Marcio Berber Diz Amadeu. Some section elements could maybe be aside instead. The section with an id of links is more suited to use a div I’m unsure why article is used to wrap the contact form. It is also an opportunity to use input type="email". small would be appropriate for the copyright notice in the footer.